The GM L5P Duramax is a turbo-diesel engine produced by General Motors for use in full-size heavy-duty (HD) pickup trucks. Displacing 6.6 liters in a V-8 configuration, the L5P is part of a new generation of Duramax engines. It succeeds the 6.6L Duramax V-8 LML engine. The GM L5P engine made its debut in the 2017 Chevrolet Silverado HD and 2017 GMC Sierra HD producing an SAE-certified 910 pound-feet of torque (1,234 Nm) and 445 horsepower (332 kW). 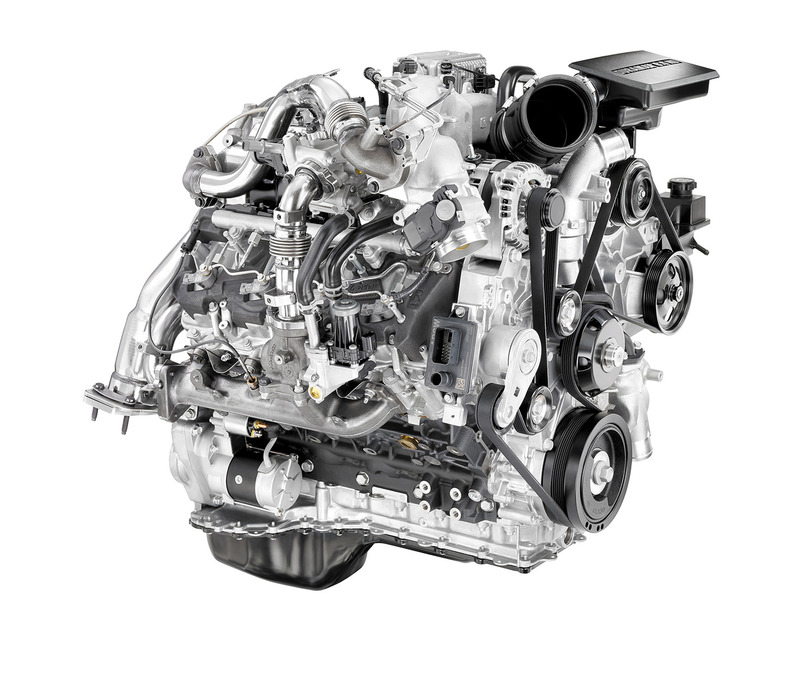 The new Duramax 6.6L represents a next-generation redesign that features an all-new, stronger cylinder block and rotating assembly, as well as a new, GM-developed control system. 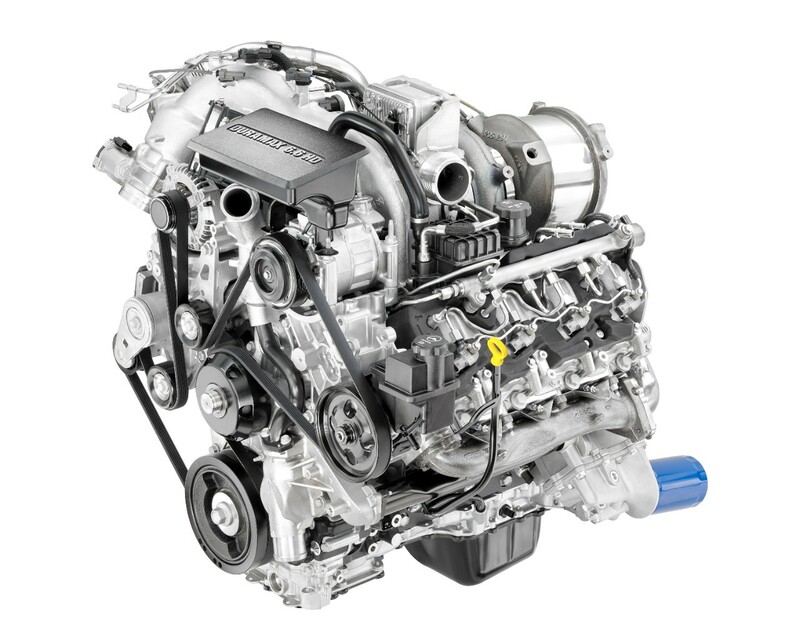 The engine’s production of low-rpm torque — a Duramax Diesel signature — hasn’t changed: the L5P offers 90 percent of peak torque at a low 1,550 rpm and sustains it through 2,850 rpm, an attribute that contributes to the strong, confident pulling power at low speeds of the vehicles in which it powers. The new L5P features a new camshaft profile and improved cylinder head design; a new electronically controlled, variable-vane turbocharger allows the engine to produce more power with lower exhaust emissions. The engine’s advanced variable-vane mechanism allows greater exhaust temperature capability, enabling the engine to achieve higher power at lower cylinder pressure. Additionally, a new, patent-pending vehicle air intake system with functional hood scoop drives cool, dry air into the engine for sustained performance and cooler engine temperatures during difficult conditions, such as trailering (towing) on steep grades. Cooler air helps the engine run better under load, especially in conditions where engine and transmission temperatures can rise quickly. This enbales the Duramax to maintain more power and vehicle speed when trailering in the toughest conditions. The L5P has a derivative called L5D that’s used in the 2019 Chevrolet Medium Duty Trucks – the 2019 Silverado 4500HD, Silverado 5500HD and Silverado 6500HD. 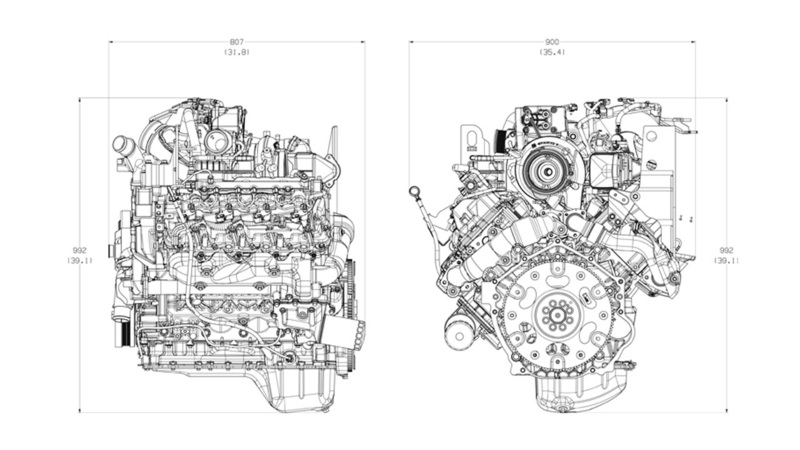 The 6.6L Duramax L5P engine is manufactured at the GM Duramax plant in Moraine, Ohio, USA. Follow our Duramax L5P news coverage.